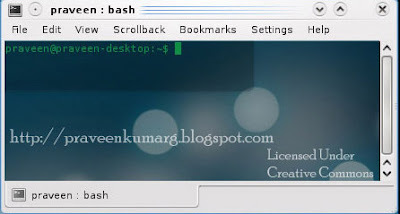 Linux’s one of the most cool feature is its Transparent Terminal.Few days back i have discussed about using a Transparent Console for Windows Xp & Vista.Ok,lets now see how to create transparent terminal in Kubuntu.The procedure is same for Ubuntu also. Click Settings –>Edit Current Profile. Select a Scheme and Click Edit.